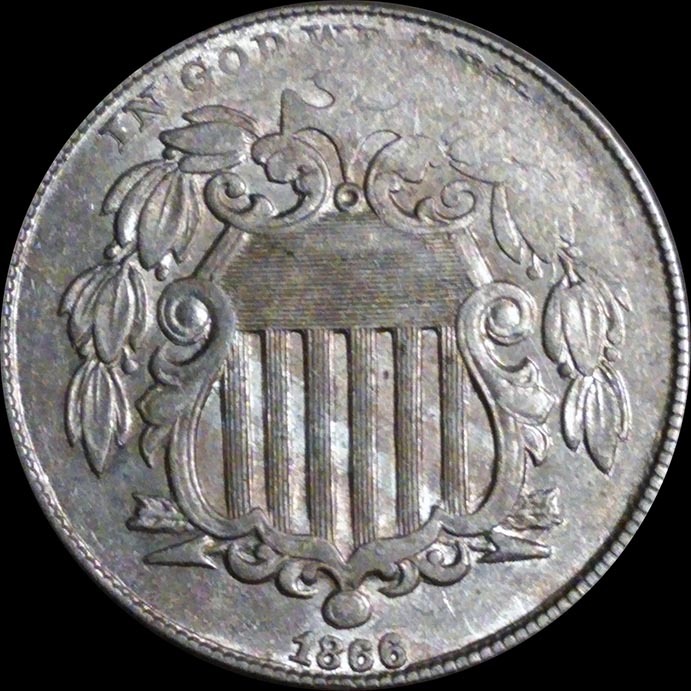 1866 struck on a tapered planchet. 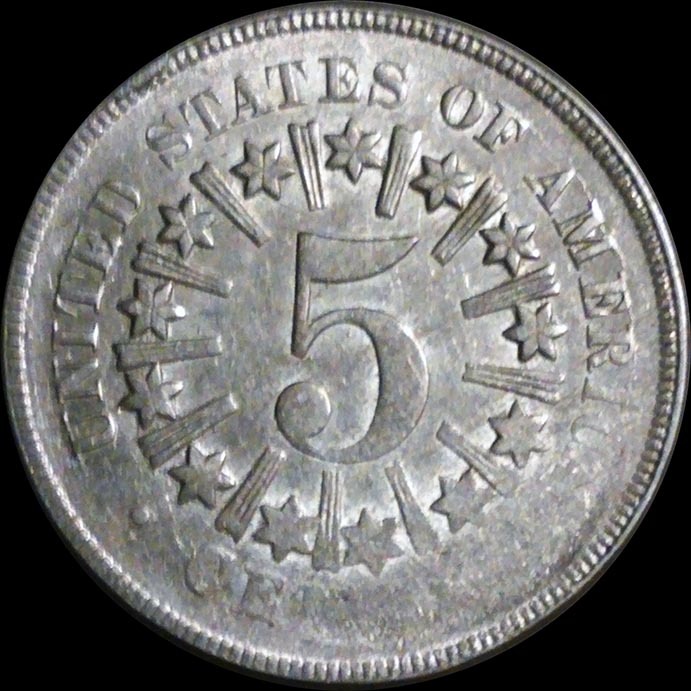 Note the reduced metal flow upper right obverse/lower right reverse due lower striking pressure in the area of the thinner planchet. Weight is 4.67 grams.